Nicole Miller Women's Ribbed Boot Socks 3 Pair Just $4.99! Ships FREE! You are here: Home / Great Deals / Christmas Deals / Nicole Miller Women’s Ribbed Boot Socks 3 Pair Just $4.99! Ships FREE! 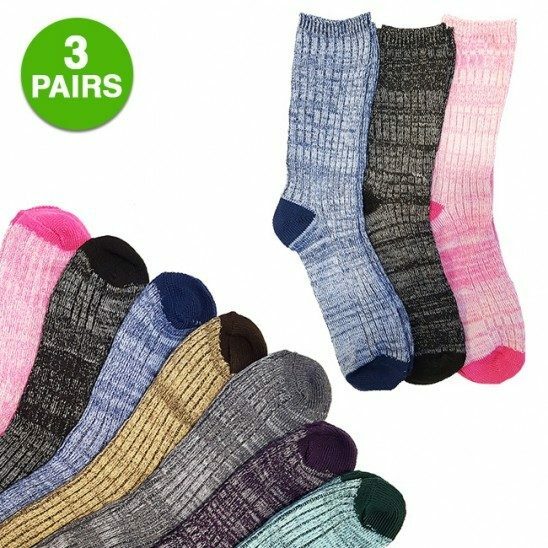 Nicole Miller Women’s Ribbed Boot Socks 3 Pair Just $4.99! Ships FREE! Every body needs to get socks for Christmas! Order the Nicole Miller Women’s Ribbed Boot Socks 3 pair for Just $4.99! Ships FREE! These trendy Nicole Miller Women’s Ribbed Boot Socks combine warmth and amazing quality! Very trendy and with an assortment of colors, these socks come in a package of three. Crew fit and perfect for fall and winter days!